We live in a world where the average person is always on the run and flooded with information. Most are able to handle it, but some feel like everything is overwhelming and become obsessed with controlling everything to the point that it disrupts their life. 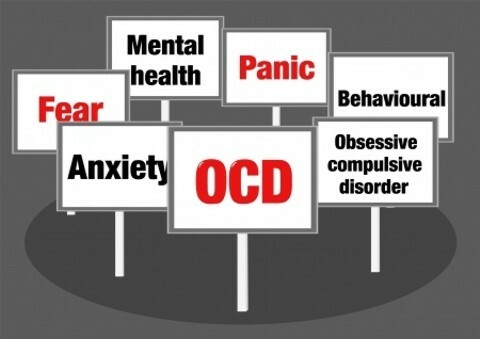 Before long, many will go to a mental health professional and are diagnosed with Obsessive Compulsive Disorder (OCD). For Christians, many will ask, what are ways for a Christian to deal with Obsessive Compulsive Disorder? There are several points in their definition that need to be highlighted. First, OCD is a disorder of the brain and behavior. Second, OCD causes severe anxiety. Third, OCD involves obsessions and compulsions, Fourth, OCD gets in the way of important activities the person values. There is a foundation that must be in place before dealing with OCD. First, the person has to trust Christ as their Savior. This is because the power and the understanding to deal with OCD Biblically comes from the Holy Spirit living in the believer (1 Corinthians 2:9-16; Philippians 4:13). Second, they must be willing to accept that God’s Word applies to every situation in life (2 Timothy 3:16-17). Third, they must also be willing to believe that God’s wisdom will work as much as they believe God saved them (Proverbs 3:5-6; James 1:2-8). They will receive no help from God if these foundations are absent (James 1:6-7). There is a lot of debate about what causes OCD. Many researchers think it is related to fear and anxiety or personality. Some think physical differences in the brain and genes are the cause. Still others think it is a spiritual issue. The effect is the same in each; behavior that becomes problematic for the individual. With abnormal brain function, objective medical tests can show that something is wrong. However, there are no objective tests to diagnose OCD. Instead, the diagnosis is made based on reported feelings or behaviors the person demonstrates. This leaves mental health professionals with limited options of dealing with OCD. The Bible has a lot to say about dealing with the brain and behaviors. Isaiah 7:16 refers to the coming Messiah and says that He would know to refuse evil and choose the good. This means there is a point in life when we can understand and make moral choices. This is what is known as the age of accountability or maturity. However, in cases of birth defects or brain damage that may not happen; it is clear that God does not hold them accountable (James 4:17; Deuteronomy 1:39). In James 1:13-15 the Bible addresses the roots of sin. It tells us that our sin, which is a behavior, is the result of our own lust enticing us to do something wrong. These lusts are listed in 1 John 2:15-16 as lust of the eyes, lusts of the flesh, and pride. When we give in to the temptation to please our own lusts, we mentally choose to disobey God, which is not pleasing to Him. This tells us that every decision starts with our thinking. Therefore, if a believer has the mental capacity to make sound decisions and act on them, they have the ability to choose what is pleasing to God and to deal with OCD Biblically (John 8:28-29; Philippians 4:13; Hebrews 11:6). In verses four and five we are told to rejoice in the Lord all the time and let our moderation be known to all men because the Lord is at hand. This tells us that because the Holy Spirit is in us we can live a life with self-control, which enables us to rejoice all the time. This is reinforced in Romans 5:3-5 and James 1:2-4. In verse six, we are told to be careful for nothing, which literally means be anxious for nothing. This is followed up with instruction to submit our requests to God in thankful prayer and allow God to mold our thinking. The result, according to verse seven, is that God gives us peace and protects our heart and mind through the power of the Holy Spirit. In order to keep that peace and protection, verse eight says to think about things that are true, honest, just, etc. We do this by meditating on Bible verses that teach things that are true, honest, just, etc. This requires us to memorize Scripture, particularly the verses that address these things, as part of our Bible study. Verse nine tells us that when we do the things that we have learned in dealing with anxiety, God will give us peace. Obsessions and compulsions are very similar. An obsession is an idea or thought that continually preoccupies or intrudes on a person’s mind (2). A compulsion, as related to OCD, is an irresistible urge to behave in a certain way, especially against one’s conscious wishes (3). Given these two definitions, we can see that a compulsion is the result of an obsession. For the person with OCD, the obsession can be something as simple as continually thinking that the stove must be turned off. The compulsion would be to go check the stove every three minutes for an hour or refusing to leave the house out of fear that the house will burn down. This compulsion causes disruptions in their life. Many non-Biblical counselors will try retraining the person’s thinking by rehearsing the troubling scenario so they learn to overcome the anxiety of burning down the house. They may try documenting things using checklists so that they can be sure that it has been done. However, whenever dealing with manmade techniques, they are all subject to failure, which still leaves some people anxious. When this happens, medication is often prescribed. Establishing habits to decrease anxiety may give a person confidence. However, leaving God out of the solution makes it so that we must trust a method to ensure everything turns out right. God’s Word is powerful (Hebrews 4:12). It not only can save us (Romans 10:12-17), but through it, God can and will protect and guide us (Psalms 91; Psalm 119:9-13; 119:97-104; Proverbs 3:25-26). Dealing with disruptions of important activities and values is best done proactively. If we are a believer and are doing things that are detrimental to us or is not pleasing to God, then we must focus on allowing Christ to control every thought (2 Corinthians 10:3-6). We must think of every decision as act of worship (Joshua 24:14-15). Using firestorm prayer (Philippians 4:4-9) is the best place to start. Employing techniques to help us be more organized such as calendars and checklists can also go a long way to helping. Likewise, Biblical counseling with a Pastor or mentor is invaluable. The Apostle Paul writes of this in 2 Timothy 2:1-7 and Titus 2. With Biblical counseling the person with OCD learns to deal with OCD Biblically, and affirms the values of being a child of God. They can also learn how to help others with OCD. When someone struggles with OCD they should immediately ask themselves what they are feeling. If the answer is fear or anxiety, then they should ask what thoughts are going through their mind that is producing the fear and anxiety. If the thoughts are contrary to God’s Word, then they should reevaluate their thinking. In the case of the stove, a simple check to make sure it is off is all that is needed. Once checked, if the thoughts continue, then firestorm prayer and meditating on 2 Timothy 1:7 and other Scripture memory verses is in order. If necessary, a Biblical counselor or mentor should be sought. Finally, the person with OCD must trust that God can help them and they do not have to live with the constant disruption of fear and anxiety. By relying upon God’s promises, strength, and wisdom found in His Word and through the counsel of a Godly mentor, they can live a life to the fullest and help others with OCD to the praise and glory of God. Thank you for your article Dr. Williams. I live with two OCD relatives and I am intimately acquainted with the condition. You write under the heading, “There is a foundation that must be in place before dealing with OCD” that in order to Biblically deal with OCD there are requirements that must be in place before God will help the individual. You list salvation and then their willingness to accept that God’s Word applies to every situation in life, and then the willingness to believe that God’s wisdom will work as much as they believe God saved them. Unless these requirements are met you state,”they will receive no help from God if these foundations are absent”, using James 1:6-7 as a proof text for your conclusion. This urging of James was in reference to the man asking “wisdom” of God, as seen by verse 5 preceding your reference. was perhaps an unfortunate misstatement of your intent. I would like to believe so. Otherwise we might pursue a discussion on God’s mercy, and how God often gives help to the helpless, even when their hope is gone. Thanks DocReits for the comment. James is referring to the wisdom to deal with life issues as evidenced by the parallel passage in Romans 5:3-5. The reference basis is tribulations or troubles as James 1:1-8 is discussing. Hence the double minded approach not resulting in any help as the text says. Hebrews 11:6 reinforces this: believing He is (salvation) and a rewarder of those who “diligently” seek Him. As for “mustering” up the faith to trust Him, faith comes be hearing and hearing by the Word of God. It is not something we actively do, it is a by product of God’s truth. Hence the whole foundation of discipleship or progressive sanctification. When we actively refuse to believe the truth (Romans 1:18+) He gives us over to reprobate minds so that we do thing that are not good for us. Faith has two aspects according to Hebrews 11:1- the substance of things hoped for (salvation) and the evidence of things not seen (fruit of the Spirit). The Word tells us that God does not listen to the prayers of unbelievers so a foundation of salvation is critical. Likewise, if someone seeks God’s Wisdom on how to deal with a matter without faith that God will give them wisdom then it is clear that they will not get wisdom and peace of mind. This is where Biblical counseling is so important, to exhort from the Word how God will give them the wisdom and strength to overcome through Christ. In the nearly 15 years I have done Biblical counseling I have never seen a single person reject sound Biblical teaching and get Spiritual discernment and insight on how to deal with their life issue. Instead they seek man made wisdom and receive man made solutions, which usually lead to worse problems. The problem most people have when dealing with life issues Spiritually is they listen to what Dr. Phil or some other pseudobiblical guru tells thay directly contradicts what God teaches. Then they blame God she it does not work. Every single person of the literally thousands I have counseled that has committed to study, incorporating Biblical techniques, and consistently praying that God would help them in Spiritually based life issues has been victorious. Every person who rejected the same has not. God says He will not help them in that case and it is clear from the evidence that His Word is true. This idea that we can make God an accessory in our life and receive His Wisdom when we need it while not believing He can help is destroying churches, ministries, marriages, and lives. “if someone seeks God’s Wisdom on how to deal with a matter without faith that God will give them wisdom then it is clear that they will not get wisdom and peace of mind”. It is clear they are very confused to ask for something they don’t expect to get. Have you asked yourself why someone would ask such a thing? Is it that they do not expect it at all, or that the possibility is low that they will receive the answer? Therein lies my point. “6 But let him ask in faith, with no doubting, for the one who doubts is like a wave of the sea that is driven and tossed by the wind. 7 For that person must not suppose that he will receive anything from the Lord.”. James did not say(in verse 7) that God “would” not answer? Further James did not say that God “could” not answer? Yet “you” say God will not answer. James is not making a statement about God’s ability. It is a statement about the believer’s heart and what he might expect. God is sovereign and will do as He pleases with or without our doubts. That is where I am believing you and I have a fundamental difference of belief. How many times have you prayed without any doubting? It is a goal for the Christian but the posts are high for the non OCD Christian, let alone those burdened souls obsessing over their OCD issues. Let me be clear, I am not talking about the unsaved, about the Mr. Phil devoted hypocrite, offering false prayers, I am talking about the saved tortured soul, who seeks deliverance from their OCD but has doubts. They offer their prayer, not perhaps certain if God will answer, and you answer for God, stating that He will not answer. On the matter of faith you write: “As for “mustering” up the faith to trust Him, faith comes be hearing and hearing by the Word of God. It is not something we actively do, it is a by product of God’s truth”. It is a byproduct of God’s truth for those who will believe in God. For without belief in God there is no faith. For the Christian, faith is “belief” in God, specifically in God the Son, Jesus Christ. James speaks to the “activity” of that belief by a demonstration of works. No works, no faith(Jm 2:17). Heb 11 describes how all of the patriarchs demonstrated their faith or belief in God, by putting leather to their belief. That is, the outworking of their faith was their “activity” or works. I have acquaintances who have read and know the Word very well, much better than me, yet are atheists. So is the Word wrong in their case, where faith did not come from hearing? No, faith is belief in God, demonstrated by the fruit of the Spirit. Some have faith in God who have never read any of God’s Word. They see God’s creative work in the heavens, and believe. I wish you well. I think these issues important and that the whole idea about needing this unwavering faith in order to have God answer our prayers is an often confusing issue for the seeker and new Christian. I hope those thinking that God will not answer your prayers based upon your little faith will have learned something through this discussion. As someone who has suffered from scrupulosity, a type of OCD related to faith, for a number of years, I can say your article brings some comfort, but could always be added to. Helpful verses to me were found in Romans, Colossians, and Corinthians, and I suggest that fellow sufferers read along as well. (Especially Corinthians, where Paul discusses that if you do what you do not want to do, then that is the law of sin in you though your mind be with the Holy Ghost.) I hope you will allow God to help you with some inspiring Scriptures as well; I know it was hard for me to accept the truth of the Word, but I think if you can find some quietude in moments of compulsion it will go a long way. Remember, God is in control! Ask, and believe, and it will go well with you. Please check out the resources at CCEF. Mike Emlet in particular has some very helpful thoughts on OCD and a very short book as well. There are some podcasts that are free as well as very affordably priced (2 – 4 dollars) that are well worth looking in to. I am a Christian, a follower of the Lord Jesus Christ and I have OCD. You state that unless we have the right credentials we will GET NO HELP FROM GOD. The God I see In Jesus is a God of mercy who helps the helpless and unworthy. OCD is not rational, I cope by trusting the Lord Jesus as my Salvation, but I still have OCD. Fortunately I also have His love and Mercy. Hello Mr. Jones. I have read your comments sir, but cannot find any place where the author says we need to have the right credentials. He and we all know that it is only by trusting in Christ that we can be saved. I have read this article and cannot find the quote you seem to attribute to the author. Thank you sir. Next post: Should Christians Donate Their Bodies To Science When They Die?